Rent it for $189/day …………………………………………. 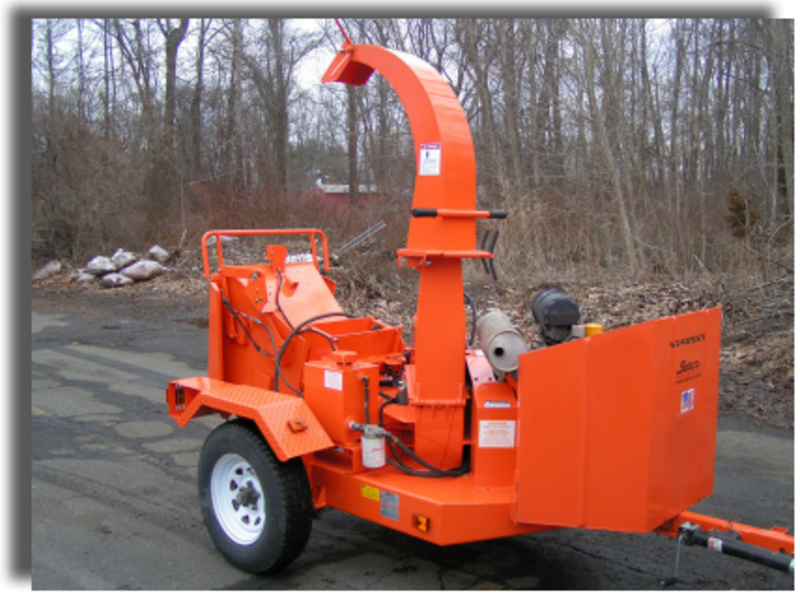 This brush chipper will handle any limbs that are 6″ in diameter and smaller. Chip that brush pile that has been building up! The unit is tow-able with a 2″ ball hitch. The Salsco chipper is powered by a 40 HP Subaru Electric Start Gas Engine. Most chippers in the same class are only powered by 25 HP engines. The impeller housing opens easily for access to the chip blades and is equipped with a Safety Switch Feature – The engine will not start if the impeller housing is not closed and securely pinned. This chipper protects itself against the operator in two different ways -First when the operator starts up the engine, if the impeller doesn’t begin to turn within 15 seconds, the engine stops to warn the operator of a prblem. Second if the impeller doesn’t come up to full RPM, it won’t feed. While most chippers have an “auto-feed” control, it is usually in conjunction with engine RPM’s, not impeller RPM’s. This is crucial because many times, the engine can rev up to the necessary RPM’s, but something may be obstructing the impeller from spinning at a necessary rate. This can cause damage to the unit as the Chipper may think it is running up to par when it is in fact not. Our Salsco chipper complete with the impeller sensor will help insure more production out of your crew, and less unnecessary wear on the chipper.